area due to a land dispute (which is still ongoing), an engineer was killed in the Ministry of Justice by an unknown motorcyclist, a group of armed men invaded Souk Shumailah to loot the place, and an Omani diplomat was kidnapped for 12 hours, all in what used to be the safest city in Yemen. "Caution. There is an Armed Sheikh in the Car. Instructions necessitate you do not overtake the car"
On May 15, 2013, one of the most heinous crimes took place in Sana'a. Two young men Al-Khateeb and Aman, both under the age of 21,were killed in cold blood when they intercepted a tribal wedding motorcade. To this day, no arrests have been made even though the tribe responsible for this crime is identified (to read more on this, click here). Just last week, Aman was buried in Sana'a and the week before, Al-Khateeb was buried in Aden. 1) Whether the assailant is from a powerful tribe. 2) Whether the deceased is from a powerful tribe. Unfortunately, in the case of Al-Khateeb and Aman, they were from civilian families and the killer was associated with a powerful tribe. The ultimate let down is that the current government failed to exact justice and stood powerless infront of the force of the tribe. In other murder cases, if the killer is not from a powerful tribe and the deceased from a powerful one, then it is almost certain that justice - if not vengeance - will be served. At times, the killer and the deceased belong equally powerful tribes. In these situations, families/tribes have to exact their own justice. Just three days ago, Ahmed from Al-Haimah was killed at Jawlat Al Sayah in Sana'a around 2pm. The killer escaped and the government captured the deceased's acquaintances. They are "suspects" until the actual killer is captured. The killer fled the scene but he left his car behind. Ahmed's cousin speaks with certainty that the police have the killer's identity based on the fact that they have the car's registration numbers. He claims that the investigator on duty is keeping the killer's identity secret because he is from a decent sized tribe from Bani Matar. He said: "the police aren't serious about their search. They are conveniently keeping Ahmed's friends in prison and are scared to confront the killer's tribe. The government is no longer eminent". Using his own connections, a man from a separate investigative unit confirmed that the police have the killer's phone number. Ahmed's family has the killer's home phone but the killer is in hiding. His tribe refuses to be discouraged and vows that Ahmed's blood won't go to waste. Over the years, Ahmed's tribe managed to compile an impressive collection of weapons. During Saleh's era, they received their share of weapons but the collection grew bigger during the revolution of 2011. During this time, the tribe retained all smuggled weapons captured on their lands. 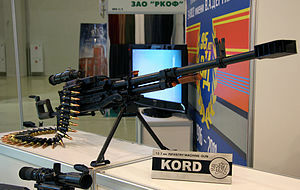 Today, they have a Kord 12.7, a 14.5 Vladimirov KPV, and RPGs. Furthermore, they control about 35 miles of the Sana'a - Hodaidah travel road. Using their sovereignty, they blocked the travel road for an hour. They stopped aside all cars with army, police and government tags. These cars with the men inside them are now their prisoners. According to tribal tradition, they will feed and care for them. Ahmed's cousin is certain that this tactic will put enough pressure on the government to bring forth the killer. If not, they will just have to create more pressure. Surrendering is not an option. One thing is for sure: they will find the killer.